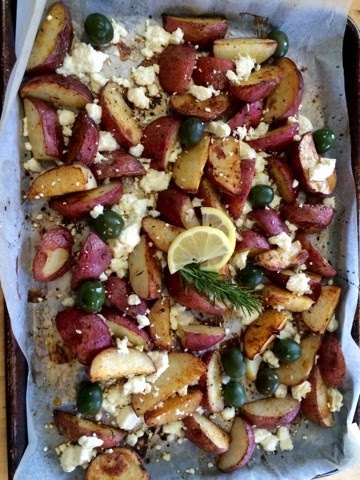 No words are adequate for this sumptuous side dish enhanced with baked feta, warmed olives, lemon and fresh rosemary. This could be served with a barbequed meal, with a rotisserie chicken, with the greek bean soup fassolada, with a hearty green salad, or on its own. It could be an appetizer with pre-dinner cocktails. The possibilities are endless. It can be served in the centre of the table with everyone digging in with forks or fondue spears. 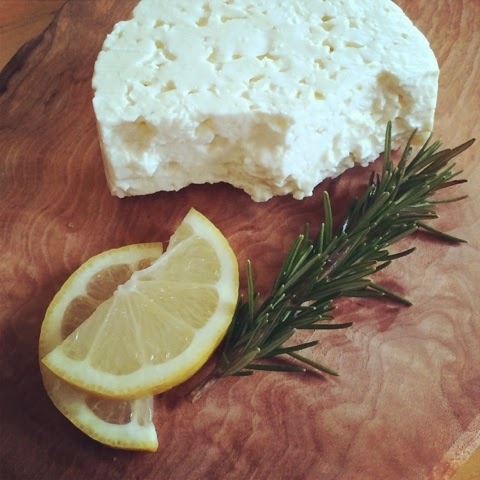 It is best straight from the oven- warm and fragrant with salty brine, rosemary and lemon wafting through the house. Dig in, my friends. Dig in. 3. 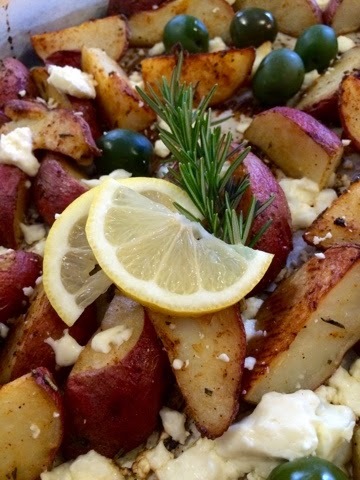 When adequately tossed with herb and spice, bake in oven for 30 minutes, tossing potatoes once or twice during that time until edges are crispy and golden. 5. Bake for 10 more minutes. 7. Bake 5 more minutes until feta begins to soften and brown. Serve immediately.